Finding a casual restaurant in Florida is easy. Finding one with down-home charm isn’t. 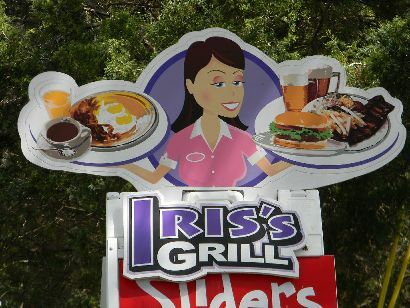 Iris's Grill is just a few blocks from the water and a few blocks from downtown Dunedin. 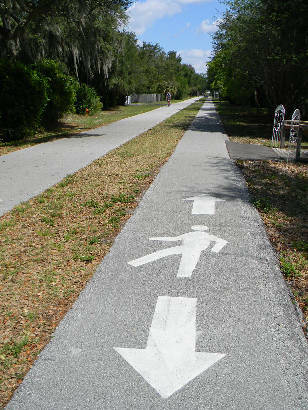 It’s also a literal “stone’s throw” off the Fred Marquis Pinellas Trail – a bike trail built on the roadbed of a long defunct railroad. Walk this way. Actually, Iris' is to the right. It’s been here since the mid 1970s and it’s the kind of place people get nostalgic about. Even people too young to understand the word nostalgia feel the gentle pull of Iris's Grill. It’s funky – as in “pleasantly unconventional” but not to the point where you worry about any funk getting in your food. The place is as clean as the proverbial bean. "She likes to brag that her boyfriend is a male model for JC Penney." The new visitor may detect a bit of whimsy - even before they are seated. The hostess (she’s been there for years) is a little short on personality, but the waitresses more than make up for her haughty demeanor (she likes to brag that her boyfriend is a male model for J.C. Penney). Ordering "off" the menu is strongly discouraged. 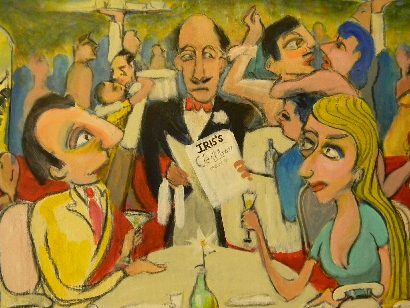 The original art work throughout the dining area was painted by a former patron (now deceased) who was friends with the owner. His name was Don Moon and he was from Connecticut. The oil painting of the man digging clams – that’s a self portrait. The one of the bride? That’s Don’s wife who died 30 years before him. Is there an Iris? Maybe there is – maybe there isn’t. One doesn’t feel the need to ask. It’s like the “Alice” of Arlo Guthrie’s song. It just doesn’t matter. Iris doesn’t live here anymore – or maybe she does. I once had my hand playfully slapped on Valentine’s Day when I admitted that my wife and I were there as regular customers and not because of the occasion. Breakfast is served all day and if you get there between the traditional breakfast hours and lunch – you might become part of the exchange between staff and customers. If the subject is interesting enough, the cook might even get involved. 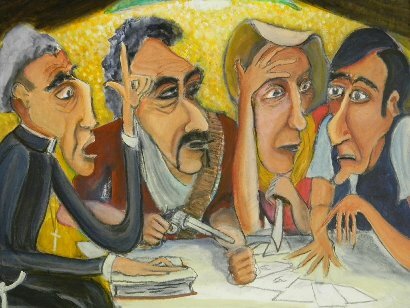 My last visit had a man at the next table giving out a recipe for pineapple-tequila layer cake – complete with an interesting story about the man who had invented it. 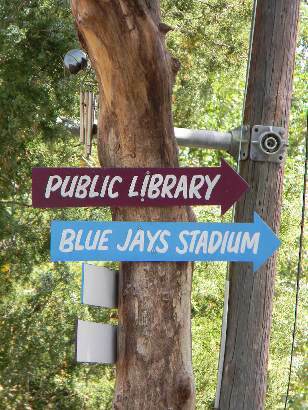 It’s especially cozy at Iris’ if you happen to be a Toronto Blue Jay fan. 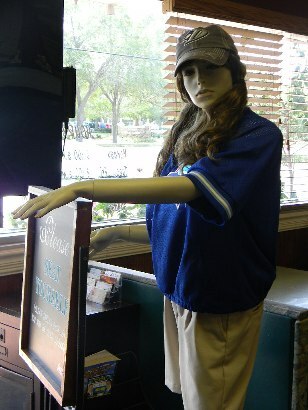 Even the hostess changes into her (abbreviated) “uniform” when the team is in town for Spring training.